Major uptrend for the S&P 500 and trading above the 200-day moving average with the 50-day above the 200-day average. The S&P 500 must hold major support of 2800 or there will be a test at the the 200-day average. 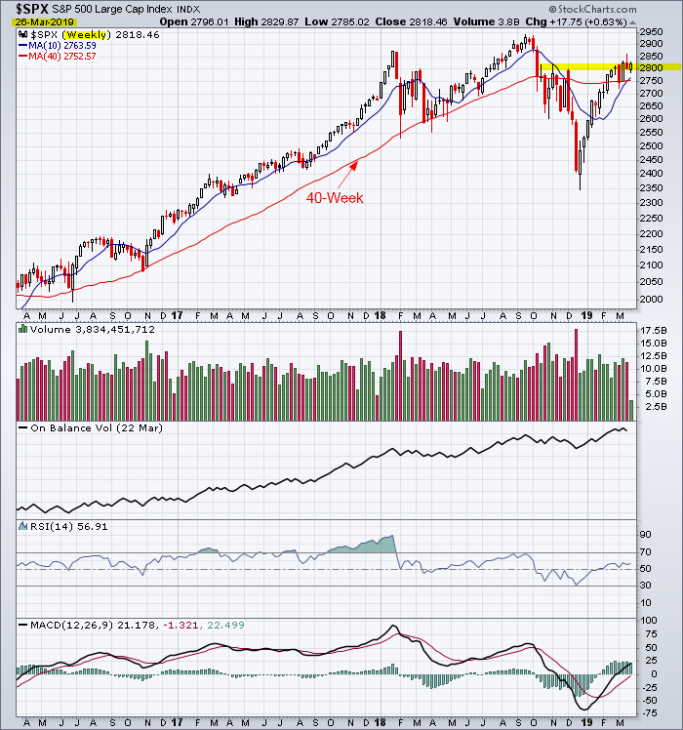 This entry was posted in U.S. Indexes on March 26, 2019 by Trader.